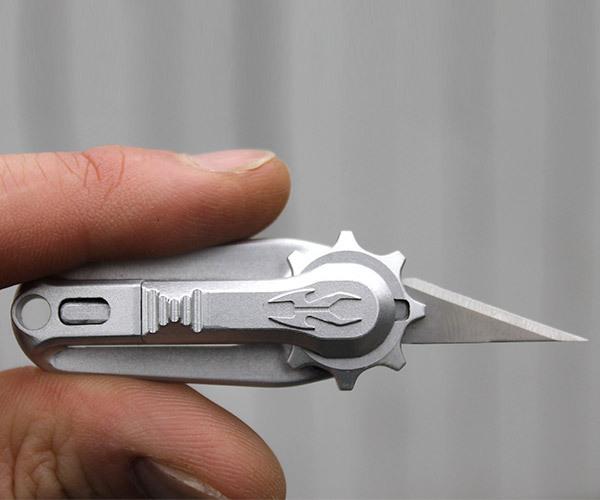 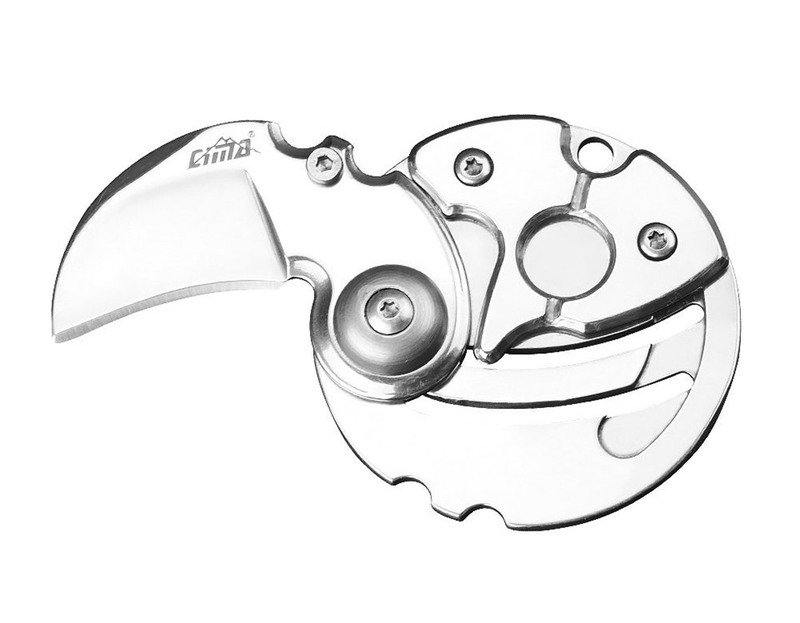 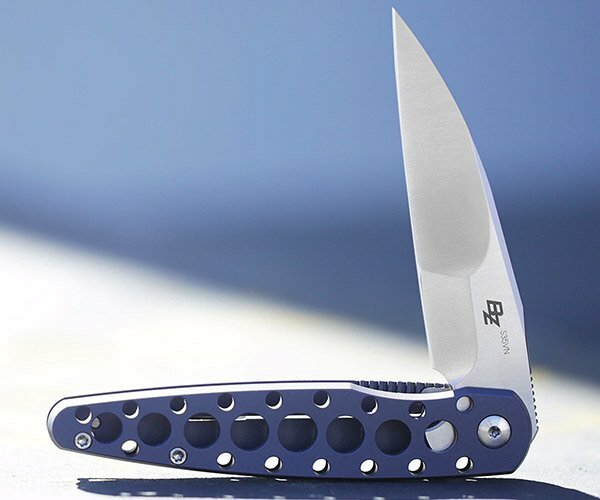 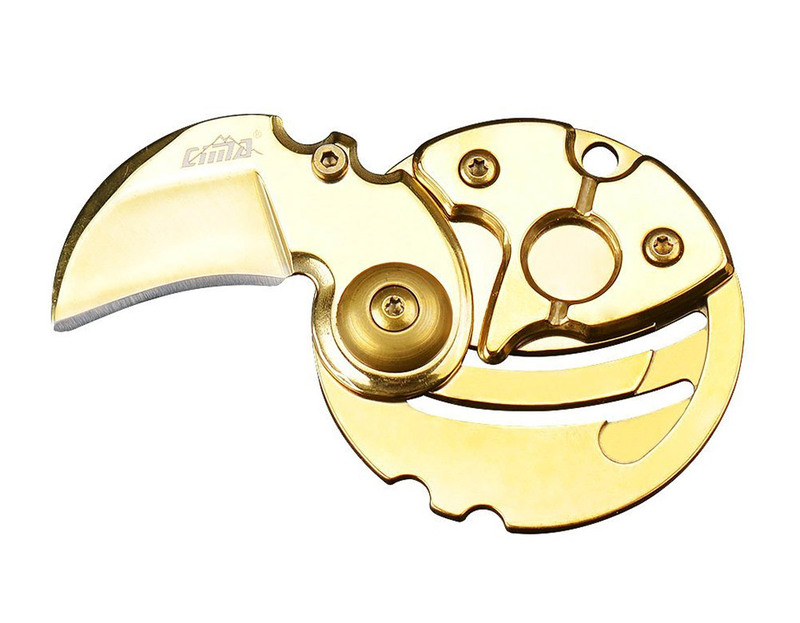 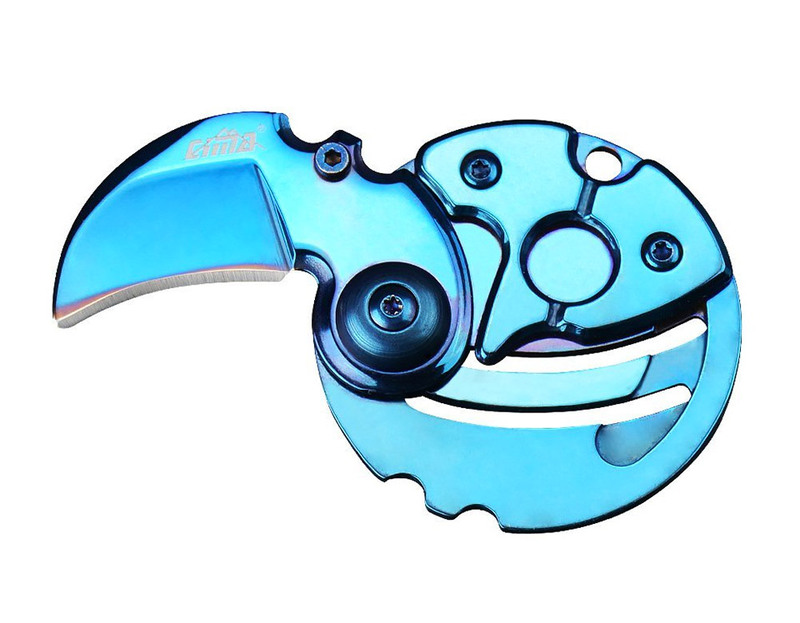 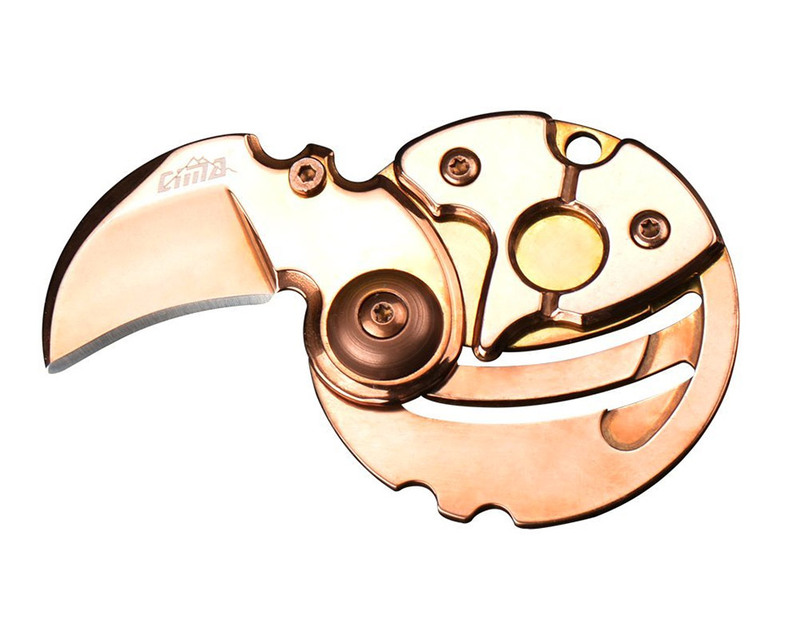 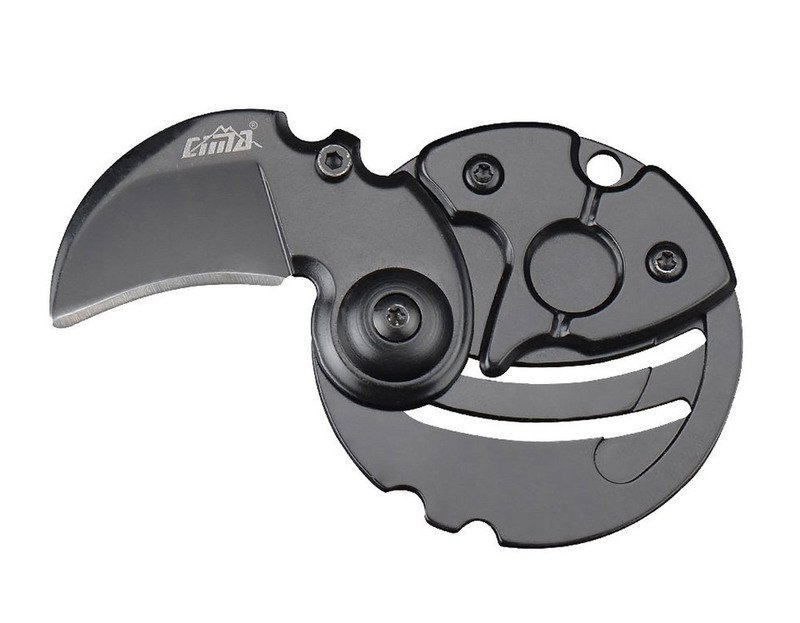 A super compact EDC knife that folds into a 1.77″ diameter disc. 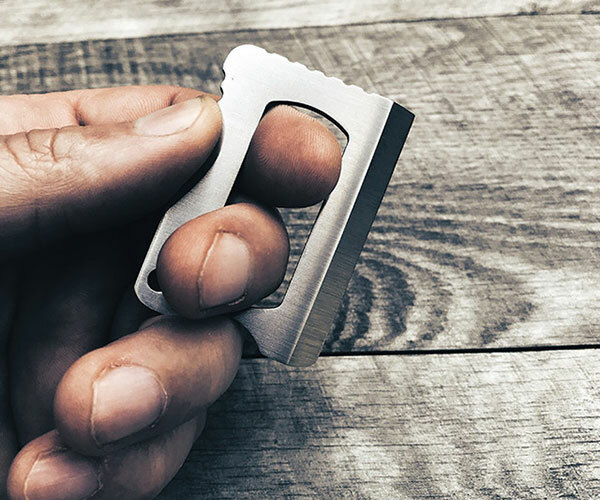 Has a 0.94″ long stainless steel blade, and is handy for opening all those packages you get from Amazon. 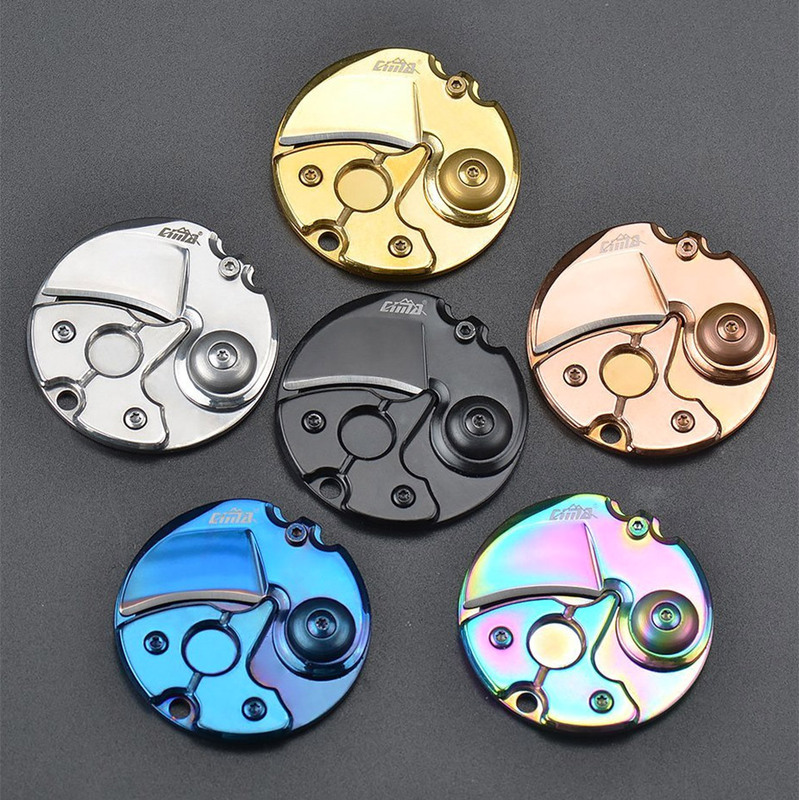 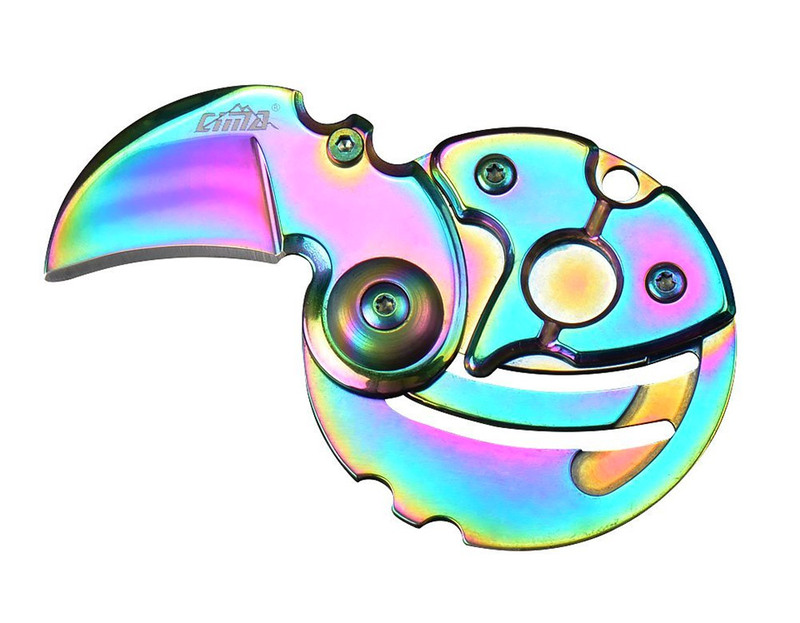 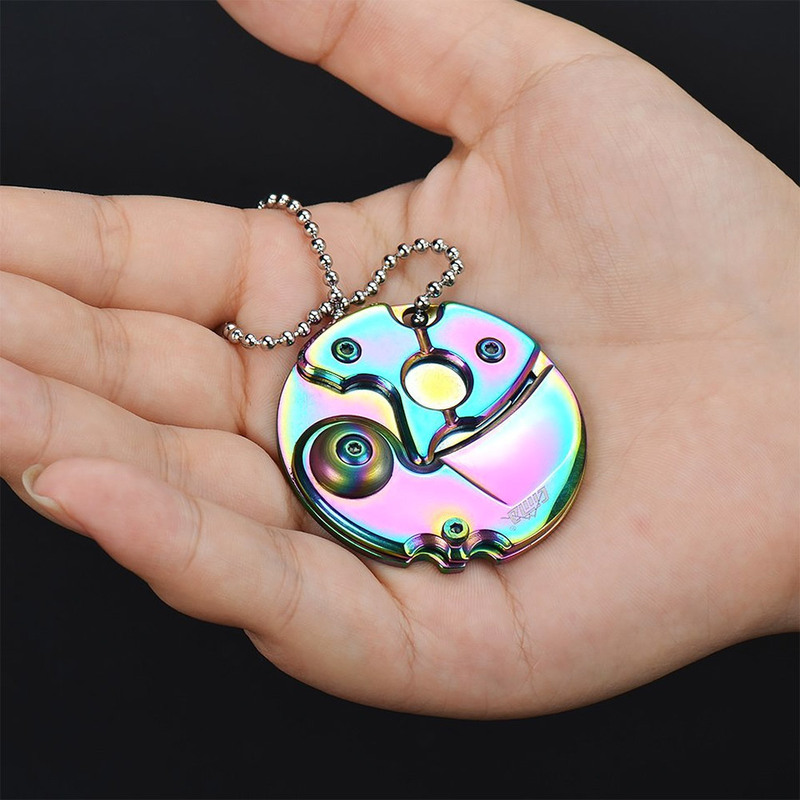 Comes in a variety of colors, but we’d go for the rainbow finish design.